I wrote the following batch of tips in an attempt to share what I have learned while fighting this disease and fighting for my life. I hope it is helpful to you as it has been helpful to me. Above all else, remember that you must take the bull by the horns and get yourself better. HOW CAN DOCTORS BE SO CLUELESS ABOUT CUSHING'S? How can doctors and the medical community treat you, a patient, with such dismissiveness? Simple. They have no idea what we are dealing with. Cushing's shows up in a few paragraphs in one 'rare diseases' chapter in one text book in their entire medical curriculum. The one thing they remember is that it is rare, and if it is rare, then you can't possibly have it. Ludicrous, but true in their eyes. I know too many Cushing's patients who have heard these words to dismiss these doctors' dismissiveness. My endocrinologist says that Cushing's is the most difficult to diagnose in her field, maybe even in all of medicine. If you have this disease, your heart may have just sunk. Get out your fishing net and pick it back up. Take this to heart in the good way... now that you know this, you can take control of your path to diagnosis, and you can steer the way. Don't let anything stand in your way. HOW CAN MY FRIENDS AND FAMILY--EVEN MY SIGNIFICANT OTHER--BE SO UNSUPPORTIVE ABOUT MY HAVING CUSHING'S? It's not really their fault. Cushing's is unlike any disease anyone has ever seen before. In most cases, people have never heard of Cushing's. As a result, most are highly suspicious of Cushing's patients. There is no reference point, no context. I know that feeling... the one that gnaws at your gut because it seems that no one believes you... it's that silence and lack of question-asking when you finish your talk about it. I know exactly what you mean. We all feel that. Despite their love or affection for you, people think you are just making excuses for being overweight. They think you are a hypochondriac who is grasping at straws because you fear the treadmill, low-fat milk, and fruits and vegetables! This society knows of only two ways to gain weight: eat too much and avoid exercise. The media, even in an attempt to be helpful, urges us to clean up our diets and exercise at every turn, proclaiming It's fun! It's easy! Few weight loss segments ever mention the biological reasons for obesity. If you don't believe me, just watch for yourself. Leave me a comment with your observations. I know I am right! You aren't gonna get it with this disease, so don't expect it. Painful realization, but it is true. I recently decided not to fill my already stressed days with other's disbelief and lack of support. I have better things to do. I have to get myself well. You do, too. However, I have come up with ways to try to discuss this disease with my family and friends. This website is one way. Another way is to tell your story through a blog or carepage. Although they may not understand, it is imperative that each of us reach out into our circle of friends and family in order to bring awareness to this disease. I have no doubt that we will save lives this way. LEARN A BIG LESSON EARLY. Be proactive no matter what. For every day you waste, you are sick another two weeks due to unexpected delays in the medical community: scheduling, weekends, test run time, doctor vacations, rescheduled appts, etc. Nobody--no doctor--cares more for you than you. Those docs are not talking about your case over dinner with their family, and they are not on the phone with their doctor friends running through the long lists of possible diagnoses in a desperate hope to cure you. Nope. They forget you the second you leave the little room and then think about you briefly when they see your lab results. They only faintly remember you when they see you in that same little room two to three weeks later for your follow up appointment. Don't treat these people with more reverence than they deserve, and they only deserve it when they act like a compassionate, medically curious, and proactive doctor that you need and deserve. Do you have a HMO where you need a referral to go to a new doctor or do you have a PPO where you can go to any doctor you want? If you have a PPO, call the doctor to see if s/he is an IN NETWORK PROVIDER for your insurance. Also, call your insurance company to ensure that the doctor is an IN NETWORK PROVIDER. Don't rely on the internet site listing providers. I always made sure I called in to ensure that my file would reflect that I called in and asked. If they were in network, my account was noted, and I had more ammunition in case they told me later that the doc was not in network after all. If you have an HMO, call to set up an appointment with your primary care doctor and have the name of the endocrinologist or Cushing’s specialist in hand so you can get the referral (see below on how to get ready for the doctor’s appointment). I know this requires a higher monthly premium. I know we Cushies are already pressed for money with all the traveling we do for specialized care. However, I must tell that having a PPO was a major reason why I got diagnosed so quickly. I guided my own care. I chose doctors, I set up appointments, and I powered through. Had I had any one doctor serve as a gate keeper that made decision regarding my health, I would have been dead. Had I had to wait for said gate keeper's staff to look up referrals and give me papers and get through all that hassle, I would have been toast. Do yourself a favor: pay up and get a PPO. You are worth it. What's more important than your health? If you have an HMO, know when your company or your spouse's company open enrollment period is. Mark it on your calendar. You can change from an HMO to PPO usually only at this time. Call your HR representative, and he/she can guide you through the process. Getting a diagnosis of Cushing's is a hurry-up-and-wait game. For every day you waste, you will be sick for two weeks longer. Stay active. Get moving. Get better. If you are stuck waiting, ask yourself, "What else can I do to move this along? What else can I be doing in the mean time?" Schedule all the doctors appointments NOW. If you have an HMO, schedule an appointment with that office, then schedule an appt with the specialist for shortly thereafter. That way, when you get the referral in hand, you will not have to wait very long for the next appointment. Some offices don’t like to do it without a referral, but if you ask them to set an appointment now, you promise to fax the referral as soon as possible. Then, you get the appointment… and then get the referral to them when you can. Doesn’t matter after that, because you already have your position in line… an appointment.As a general rule, make more appointments than you need, and then cancel if you find you don't need them. This will keep you from spending weeks and months waiting for doctors' appointments unnecessarily. It can take up to three months for new patient appointments with endocrinologists. Cut down your wait time. If you drove a Bentley, would you take it in for repairs to a gas station mechanic? Of course not. You would take that car to someone who understands it, respects it. Cushing's is very rarely diagnosed, and doctors don't know what to do. Even if they act like they do. Some of us can lead our docs around for a while, squeezing lab orders out when we can, but eventually, most of us peel off and see Cushing's specialists. Check the Cushing's Help and Support website. On this message board, check out the topics under Doctors and Hospitals. We discuss a lot of the favorite ones there. Try the Pituitary Network Association site for docs, too. CYCLICAL CUSHING'SRemember I mentioned that nothing about this disease is easy? Well, here is another reason why. Not all of us show our symptoms of high cortisol levels all the time. That's right. We can have cycles of high and low cortisol levels. Here is an excerpt from a good article about cyclical Cushing's. *Dennis A. Velez, M.D., Marc R. Mayberg, M.D., & William H Ludlam, M.D., PhD. "Cyclic Cushing syndrome: definitions and treatment implications." Neurosurg Focus 23 (3):E4, 2007. *Authors from Seattle Neuroendocrine Program, Swedish Neuroscience Institute, Seattle Washington. Endogenous Cushing syndrome (CS) results from hypercortisolemia caused by excess adrenocorticotropic hormone production in a pituitary adenoma or ectopic tumor, or by an adrenal tumor that directly produces excess cortisol. The diagnosis can usually be ascertained with a reasonable degree of certainty based on clinical and laboratory findings of hypercortisolism. There are patients, however, in whom the production of excess cortisol exhibits a cyclic or intermittent pattern, and, as a result, the clinical symptoms may be quite complex and varied. In these patients the hypothalamic-pituitary-adrenal axis may be normal between cycles. The tests results used to document episodes of hypercortisolemia in cyclic Cushing's Syndrome will be similar to those of traditional Cushing's Syndrome except one will observe periodic episodes of “normal” test results. The duration of the cycles has been described as being 12 hours to 86 days. This range is in contrast to the condition referred to as intermittent Cushing's Syndrome, in which the cycle of cortisol production is irregular and ranges from 10 episodes of relapse in 3 months to two episodes of exacerbation in 5 years. So, how does having Intermittent/Cyclical Cushing's complicate diagnosis? 1) You must figure out when your body is in a cortisol high and only test then. See more below. 2) If doctors know very little about Cushing's because it is rare, they certainly have never heard of cyclical Cushing's. It is completely outside their scope of knowledge. Therefore, if you happen upon a doctor who will test your for Cushing's, let's hope that your test results are high from the beginning. If not, if you get normal test results on your first batch of tests because you are 'in a normal cortisol cycle,' well, you are toast. They will dismiss you, and you may spend months to years, watching your health deteriorate as you face more limitations and thinking that there is really nothing wrong with you besides that piece of birthday cake you ate and all the times you only walked for 25 minutes instead of an hour. DON'T WORRY... it is not your fault!! There is hope! CUSHING'S PATIENTS DO ALL LOOK THE SAME OR HAVE SAME SYMPTOMS. There is a classic, textbook look to Cushing's patients. Not all of us fit that bill. Some docs say that some patients don't look "Cushingoid"... nice name, right? Don't let your doctor pigeon hole you if you don't have all of the symptoms listed below. NOTE: I've created a master list of symptoms and infographics in May 2018. It has roughly 80 symptoms. It's awesome. Find it here. These symptoms are typically associated with Cushing's. While many Cushing's patients have these symptoms, not ALL Cushing's have these symptoms. Many of these reflect Cushing's at full throttle or Cushing's Stage 4 (to use cancer terms). If you suspect you have Cushing's 'early', even after years of uncertainty and silent suffering, don't let the fact that you don't have these symptoms derail you. You may soon get them. I hope, for you, that you will get your diagnosis and surgery before you get them all. Everyone's symptoms of high cortisol times and low cortisol times differ. Every Cushing's patient experiences something different, likely because we are all at various stages of Cushing's. I do not have redness in the cheeks (I am half Filipino, so it has a lot of brown to break through!) or a lot of facial hair (only lip and eyebrows). My limbs are not super skinny. I don't have diabetes, but I was only recently diagnosed within insulin resistance in 12/07. My moon face only started to come on in the past 2 months (I feel I have had Cushing's at least since 1995, maybe since the onset of my menses). Yet I still have high cortisol at midnight, ACTH results at 4 am, and 5mm and 3mm tumors on my pituitary. See... we are all different! You could line up all of us known Cushies and our constellation of symptoms would all be different. Plus, our symptom set when we received high cortisol test results would also vary from person to person. It's crazy, huh? Cushies are like snowflakes... none of us are exactly the same. Some people have higher biochemical data/lab values than me, but they don't have a tumor showing. Some have a pituitary tumor showing on their MRI but haven't had diagnostic results yet. It is crazy to detect what each of us *should* have or will have, because we are all different. To get an understanding of highs and lows, please visit KateG's post about cyclical Cushies for help. The pituitary is the master gland. It secretes nine hormones vital for every day functions--7 anterior (front) and 2 posterior (back). If you have a pituitary tumor, it can affect the production of these other hormones. Since TSH or thyroid stimulating hormone is one of these 9 hormones, many of us have thyroid problems. In fact, I have low thyroid, low FSH, low LH, low IGF-1, normal prolactin, uber high ACTH. I finally saw a doctor for low thyroid 3 years ago, and this year I finally realized that the meds were not working and I felt worse. That led me to find Cushing's online.I just search Google and found a FANTASTIC pituitary explanation. Click here to see pretty cool description of pituitary hormones. 24 hour urinary free cortisol (UFCs): normal range is 0-50. diagnostic is over 50.
midnight salivary cortisol (from your spit): normal range is 0-0.17. diagnostic is 5 and over. midnight cortisol serum(from blood draw): normal range is near 0 at this time. suggestive is over 5. diagnostic is 7.5 and over. cortisol serum tests (from blood draw). lab samples must be taken at 8 am and/or 4 pm. If they are not taken at this time, the results do not count. random ACTH plasma (from blood draw) (many Cushing's patients see very high levels at 4 am, don't know why): normal range is 5-27. diagnostic is over 48, over 100 really turns the docs on! These lab samples must be handled very carefully to get an accurate reading. I will post a link to the proper handling when I can find one. In addition, there are many tests that you can ask a doctor to order for an overall hormone assessment. vitamin B12, vitamin D, ferritin — many Cushies have very low levels of these three, and if ferritin is low, it explains hair loss. Others may suggest that you ask for other tests. I didn’t feel comfortable asking for specialized tests before I got the basics ones first. I felt that if I had the first battery of tests done and something came back abnormal, then I would ask for others. This approach worked well for me. Do a search on the tests above PRIOR to your doctor's appointment. Understand what you are asking for. This site will give you the quick and dirty. Click here to see great website called Labtestsonline. Accept this fact: You will know more about Cushing's than your doctors. Educate yourself about the nuances of Cushing's. You will need to be the new expert on Cushing's. Dig in and arm yourself with info. Don't take no for an answer. Your life depends on it. Start researching medical journals and print articles to share with your doctor. Check out this link that our own Robin/staticnrg put together for us: Click here for medical articles. Take a look at this whole journal edition dedicated to Cushing's! These 15 articles are free to download. Neurosurgical Focus, September 2007, Volume 23, Number 3. Read the Cushing's Help and Support boards voraciously and understand cyclical cushing's, general symptoms of highs and lows (varies by person, but there are generalities). Read people's signatures below their posts. You will learn so much from this simple act. It has helped me tremendously. Look at timelines. Look at test results... what do people get excited over? WHY? Click here to see all the signatures in one place. I have learned all I know from the wonderful people on the message boards. I am proud to that is A LOT! YOU MUST BE PREPARED FOR EVERY DOCTOR'S APPOINTMENT. Don't get dismissed by your doctor. If you get yourself ready at the beginning of this journey, you will find yourself only updating your information and reprinting it from the computer. This will save you from having to remember all the little things with this fragile and confused Cushie brain of ours. Think of this as a courtroom. Your diagnosis is the case to be tried. The doctor is the prosecuting attorney and the judge. You are the defending attorney as well as the defendant. Your friends and family serve as the jury. If you lose, do you get the death penalty...? You must be ready. You must know your history, your case, your symptoms, your facts, your lab results, your timeline. If you don't know or can't understand your case history--and you lived it--how can you expect a doctor in 15 minutes to understand? Get a big Big BIG three ring binder and file all your paperwork together. Memorize your numbers and lab results. They are your new multiplication tables. I put my lab results in order by date, with the most recent on top. This is the simplest because some doctors order tests that cross many categories, so I can't put them behind tabs like that. I also ask the doc's assistant for a copy of the lab order before I leave the check-out desk at the office. I have never been denied. I go to the lab and get the blood drawn. I take my copy of the lab order home and look up the tests that were ordered on http://labtestsonline.org/, so that I have time to research these tests. I am always ready to discuss results with my doctor at the next appointment. I can guide the doc to the next step, in case he doesn't know (this is unfortunately more often than is just), and I often ask for the next tests I think are needed. Most doctors have given me the lab orders that I request. As I always say, The least you get in this life is what you ask for. No ask. No get. BRING THESE THINGS TO YOUR DOCTOR APPOINTMENT? 1) List of your symptoms. I had over 40 symptoms that totally seemed unrelated to me but indeed were in fact related in one way or another to Cushing's and/or other related hormonal problems (see post below for my full list). 2) Weight and blood pressure history. I called all my old doctors and got this info. I have this back 10 years now, and it is clear how much weight I have gained and how my bp has gone up, up, up! First, I created a list of every doctor I could remember seeing. Then, I looked up their phone numbers and addresses on the internet. Next, I called each office, spoke with someone in charge of medical records, and asked for a fax number where I could send my written request for medical records (see sample in post below). 3) Amenorrhea summary. I created a month-by-month list tracking whether I had a menstrual period or not. In the past two years, I only had 10 of 24 periods. It is another main symptom that led me to seek a diagnosis online. 4) List of your current medication. Be sure to include prescription name, dose, how many a day, reason. Include over-the-counter medicine as well, even vitamins. If you ever took a steroid, please make sure you notify your health care team, as long-term steroid use can cause Cushing's. 5) Before and after photos, including dates (even better to use the date feature on the camera to show the date on each photo). Get a small photo album/brag book and put the photos in order. Go back as far as you can to show how you used to look. 6) Photos of my stretch marks. It is best if you set the date feature on your digital camera to show the date on each photo. With old photos, just type out the Month and Year on a Word document, and then cut the page into little slivers to slide into your brag book. See post above for my photos. 7) Photos of my buffalo hump. I took photos every two weeks, facing different directions (left and right) in different clothes, in different rooms to show that the hump is not a result of bad shadows/lighting, etc (even better to use the date feature to show the date on each photo). 8) Lab results and medical records. I also got these from all of my past doctors back to 1995. It shows that I am not fat and diabetic (normal glucose for years now), and allows doctors to see that I am/was healthy overall before now. This project is easier than you think. I made a list of all my doctors and kept them in chronological order. I moved around a lot in my 20s so I had many many doctors. Then, I took to the internet and searched for the doctor online. I called each office and asked for their fax number and who is in charge of medical records. I then faxed a letter I wrote to each doctor. I will paste that letter below in new post. I got my records mailed within 7-21 days. No hassle, and nobody charged me any money for them, which they can, per page, according to HIPAA. For my weight and blood pressure summary, I wrote *taken at doctor's offices* in the footer. For the summary of my lab results, I wrote "This summary is comprised from medical records from many doctors' offices. The original lab results are available upon request" in the footer. 9) Medical literature. Bring copies with you that say that the best testing is midnight testing (particularly blood draws for cortisol serum and ACTH plasma, plus midnight salivary cortisol tests). Also find articles on cyclical Cushing's (see above for one source). Never tell a doctor, "I read on the internet or message board that... They will immediately dismiss you and us. Instead say, "According to the medical literature, most endocrinologists agree that midnight salivary cortisol tests and midnight cortisol blood serum tests can determine if a person has Cushing's even better than a 24 hour urinary free cortisol test." I have learned that I have had the greatest success when I spoke to a doctor in medical terminology. I wouldn't say, 'I pee too much.' I would say, "I think I may suffer from polyuria as I have UFCs with over 3,500 mL per collection." I believe docs take you seriously if you sound like you know what you're talking about. And let's face it, you do, because you followed my steps above, right?! 10) Your desire to get well. You know your own body. DO NOT LET THESE DOCTORS KEEP YOU DOWN. Do not take no for an answer. If the doctor won't order a test, tell them you will go see another doctor. 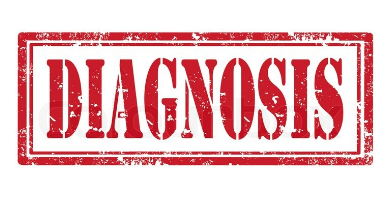 Tell them that this disease didn't earn a spot on the Discovery Health's show "Mystery Diagnosis" if diagnosing it were so easy. 11) A healthy mindset/attitude. You have the right to be healthy and happy. Put yourself first. Start using your frustration over this to get mad and get moving. Doctors are not untouchable medical gods. In fact, a recent study shows that doctors talk about themselves during *your* appointment! The more people they face letting them know that they are not the end-all-be-all, the better off their next patients will be. Tell them that you disagree. Show them the medical literature. Challenge their authority. They are not more important than you, and their opinions are not more important than the patient's. Trust your instincts. Most sick people say this is what saved their lives. If you can't make it work, then tell the doc YOU'RE FIRED, and get on with your life of getting better. As an aside, I look forward to writing sweet little you-were-wrong-and-I-was-right letters to all previous doctors (10+), pointing out the symptoms they missed and including photos so they remember me. All said in a nice but direct way ... all done in an attempt to make the road easier for those who grace those exam tables after us. Take care of yourself, and take care of business.